Have a coffee, relax, think about the duality of man. 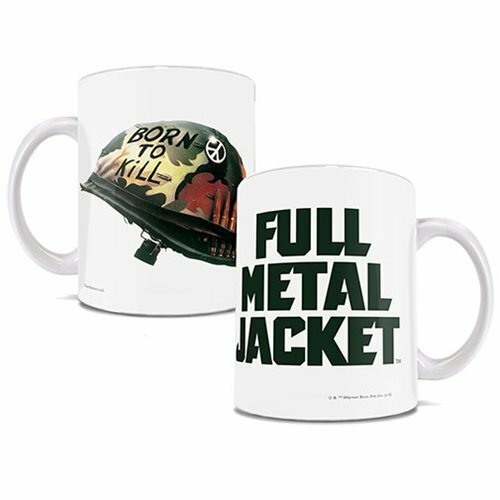 This Full Metal Jacket Born to Kill 11 oz. 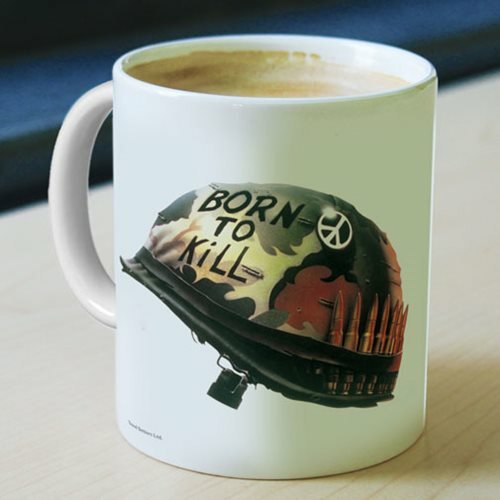 White Ceramic Mug features Joker's helmet with "Born to Kill" next to his peace sign. Do not microwave. Hand wash only. Not dishwasher safe.